The above will create a one-way sync of each corresponding Google Mail account with Box account. The data will be backed up, and it will also be kept in sync— allowing you seamless transition. 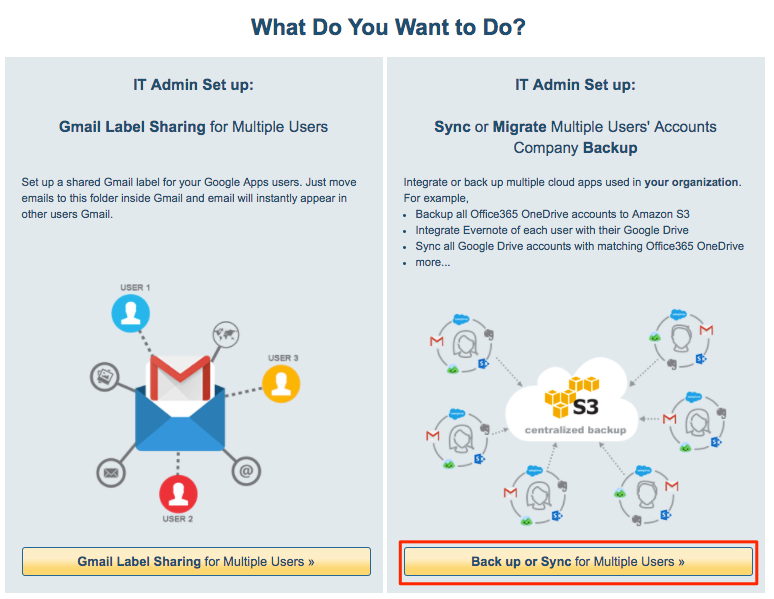 Here are step-by-step instructions for how to setup data backup sync pairs. 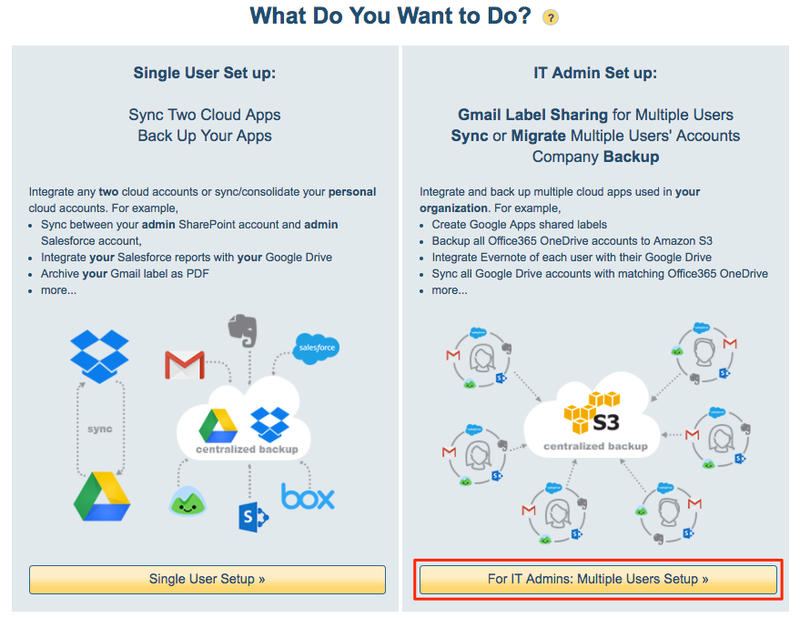 Ensure that you are a Google Apps super admin. Instructions are here: https://support.cloudhq.net/cloudhq-access-permission-for-google-apps-admin/. 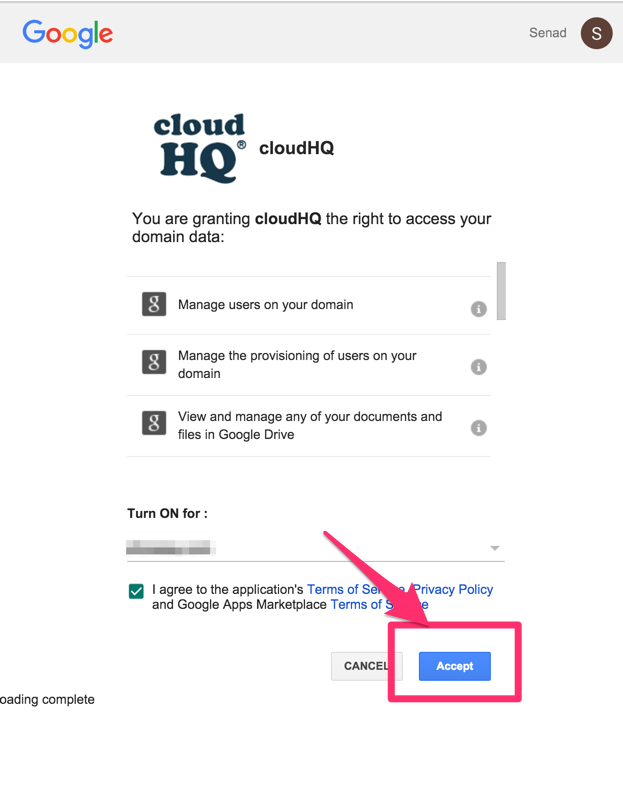 Ensure the Google Apps Administrative API is enabled for your domain. Tnstructions are here: https://support.cloudhq.net/how-to-check-if-google-apps-administrative-api-is-enabled-for-your-domain/. Click on “Finish” to create sync pairs and start the backup.